Autel Evo Review. The Best Portable Drone Yet? Yes & No. In early 2018, Autel announced that they would be releasing the Evo later this year (it’s already out at the time of this post). Soon after, DJI announced their own new drone, the Mavic Air and while provide other articles comparing those 2 as well as the Evo to others, let’s focus entirely on it here. I’m going to give you the specs (which you probably already know), and I’m going to explain if it’s as good as it was hyped up to be now that it’s out. Flight time: Advertised, 30, but more like 20-25 minutes. Range potential: 7 KM, but it’s closer to about half that in most circumstances. Size: About the same as the Mavic Pro. Fits in your hand. Camera quality: 12 MP, shoots in 4K at up to 60 FPS, at 100 mpbs. And it has a 3 axis gimbal. Sensors? Yes, 3: Front, back and bottom. Rating: 90 out of 100 points. When the Evo came out, I gave it an 80 out of 100 due to many of it’s promises not meeting expectations. 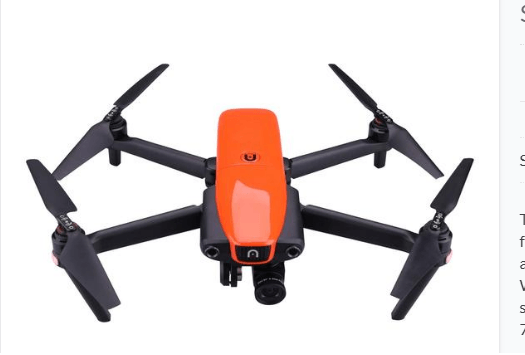 However, firmware updates corrected MOST of them and now this drone is one of the BEST in filming and flying for such an awesome price, highly recommended. 1) The camera. The first standout feature. 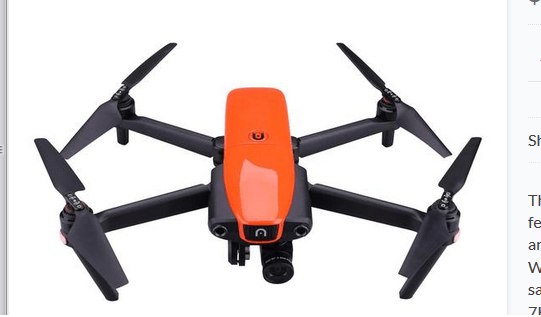 This is the first drone in 2018, at least in the portable market which has such a high quality camera. While the other drones in this department are good in that regard too, the Evo takes it to the next level (4K @ 60 FPS). 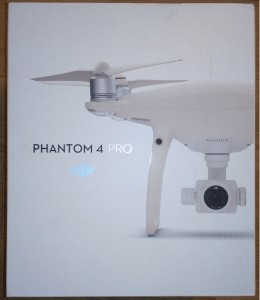 DJI owners who have owned a Phantom 4 Pro may understand what I’m about to say but it’s similar in specs to a Phantom 4 Pro camera (comparison), on a portable drone, that’s really what you’re getting with the Evo camera and it’s awesome. 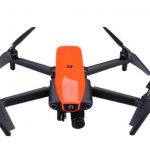 Without a doubt, as of July 6th, 2018, the Evo’s camera is at the top of the portable drone market. 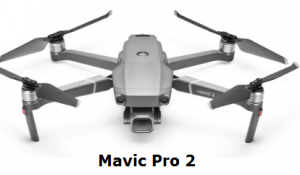 Update: Now there’s another contender, the Mavic Pro 2 and it films differently than the Autel Evo, get the comparison here. 2) It is very quiet. Likely as quiet as the Mavic Pro with the quiet propellers. 3) The controller is awesome. It displays pretty much everything you need to know about the flight going on the actual controller and the attachment for the phone is easily installed and comfortable to view. It is WAY better than the Mavic/Spark controllers. Unfortunately as I was looking for more reasons to recommend the Evo, I found myself having to go from initially 5 reasons to recommend it to 3 because the unfortunate tale is that many of the specs that it boasted simply do not have the same real life applications. 1) The flight time was supposed to be 30 minutes. It is typically not. Now I get it, flight conditions play a huge role, and as an owner of various drones, I completely agree, but even when hovering, I’ve seen videos where the Evo could barely get up to 25 minutes of flight time. Now I am not complaining about a 20+ minute flight time. That is plenty in my book, but when you advertise 30 minutes but get about 30% LESS of that in real life, that’s not good. As of today, it’s still around 20-25 and in open areas with little wind, you may be able to get the higher end of 20 minutes. I still believe (and have seen) that a regular Mavic Pro gets about the same if not a little more flight time. 2) The range was supposed to hit 7 kilometers. Update: Firmware updates have improved this and in open areas, this drone CAN deliver on 7 KM ranges and possibly even more (how to do range tests). I don’t see how this is likely. The range tests I saw didn’t get to that amount in open fields and I think it is in part due to the connection type the Evo uses which is a form of WiFi. It is basically similar to the type the Mavic Air uses and basically it can get pretty flaky if there’s enough obstacles between your controller and drone. Now you may think this connection issue will happen to any model, but that’s not true. Having used the Mavic’s ocusync connection, I was able to get 2 kilometers easily while standing on grass and having a bunch of trees and obstacles between us. Yet that connection penetrated all those obstacles and still got through and I don’t even want to mention how far that thing can get in an open field. Basically the point is that, like the flight time, you are unlikely to get the same range on the Evo as advertised, which is unfortunate. Now if you prefer to fly in sight or perhaps within 500-1,000 meters, you should have no issues with this and will likely enjoy a good, strong connection. Now there were some issues with the horizon being tilted on first generation models, but those were handed to people for testing, so the updates Autel releases should do more than fix this issue and other hardware/software ones, so I didn’t think that warranted an official con (but in case anyone though I forgot or neglected to mention it). And as an update on that, YES the horizon “tilt” has been fixed. Let’s address if this drone is a Mavic killer. People love to hype new models or put in some clickbait titles but when you look at the Evo, in terms of the camera, yes it is better, but frankly, it is the only real feature in which this model is superior to the other portable drones on the market. That the Evo has a lot more benefits over the Mavic Air. It shoots better, flies better and lasts longer. However, against the Mavic Pro, the only area where it wins is when you compare the cameras. Overall, I’d still put the Mavic Pro as a whole to be better than the Evo. It has a more reliable connection, longer range, flies just as long if not longer still and the camera quality, while lower on paper, still is hard to see big differences unless you’re a professional video/photographer. Update: With all the fixes, the Autel Evo matches and exceeds the original Mavic Pro. I still don’t think that it’s a “Killer”, but with both being $999, if you have that kind of money to spend, just get the Evo, you may get a little less in minutes of flight time, but with a way better camera and other cool perks, it’s a much better buy than the original Mavic Pro (and I own one, so I’m saying this honestly). No geo fencing (red tape flying!). I wish it could fly 30 min. Get the Autel Evo here. I’ve had the fortune to now own both the Mavic Pro and Autel Evo. The Evo’s camera is nothing short of astoundingly good, and “significantly” better than the Mavic Pro. The colors and contrast, even in auto mode, are simple amazing. The average battery time is more like 23 to 24 minutes. Maximum distance depends on the obstacles in your flying terrain and magnetic interference conditions, but to be quite honest, you should always be flying line of sight for safety reasons. The horizon tilt will be fixed in the next firmware update. Flight characteristics are similar between the 2 drones. Autel still has many firmware improvements to get up to the benchmark of DJI. However as both the Mavic and Evo are sold as a camera drone, my opinion is the Evo is the standout winner due to its superior camera. Hi Ross, thanks for sharing your comparison between the Mavic and Evo! I agree with the whole camera thing, being as I own the Phantom 4 Pro and know how much better it is, but I’ve got to say, if I were rating the cameras on a 1-10 scale, the Mavic Pro would be an 8 and the Phantom 4 Pro would be a 10, so naturally, I feel the Evo would be that too. Point being is that despite the better camera (where we 100% agree), I still think the better drone quality itself goes to the Mavic Pro. Still, I can’t wait for the Mavic Pro 2 as I am sure it’ll be a clear winner against the Evo. I am in the market for a new drone after my Phantom 3 dropped out of the sky. I am holding back on the Mavic Pro as the camera gimbal, the after care, the flaky DJI app all scare the hell out of me. The Mavic pro, after how many years should be a stable platform with all the wrinkles ironed out but it is not. I am hoping that the Mavic Pro 2 will be what the Mavic Pro should have been BUT if that takes too long to appear I will probably take the Evo. Time will tell. 1) The Mavic Pro is still my favorite drone out of the 4 I own and that includes a Phantom 4 Pro. It’s truly a reliable model. Way more than the P3. It is ALREADY an incredible drone. 2) The gimbal is fine in 99% of cases. Yes occasionally you need to re calibrate it, but it does it on it’s own within a minute, it’s just normal maintenance stuff. 3) The DJI app could indeed be better but honestly, it updates on the Mavic Pro perfectly fine. The only drone I’ve ever had issues updating it on was my Spark, but they improved on that. You should be fine with it. 4) The DJI care is optional to buy on these drones, and you can elect to get other insurance (State Farm for example) when you get it. It costs less and it’s even more reliable. 5) Overall, drones prior to the regular P4 and Mavic Pro generation had their bugs, including with the DJI app, but after these ones came out, DJI really stepped it up. Overall, while I do recommend waiting on the Mavic Pro II, there is absolutely nothing wrong in my opinion with getting the original Mavic Pro. It shoots way better than the P3, flies better than it, is more reliable, has less chances of an accident happening and plus it’ll go down in price once the Mavic Pro II comes out anyway. P.S. If you don’t mind me asking, how exactly did the accident with your P3 happen?